Very Premature Babies Have A Better Chance Of Survival : Shots - Health News Extremely premature babies, those born between 22 and 28 weeks of gestation, are more likely to survive now than they were 20 years ago. But the very youngest still have serious health problems. Even just one extra week in the womb can make a huge difference in preemies' chances of survival when they're born in the second trimester. These are the tiniest babies born. Some weigh only a pound or two. And can fit in the palm of your hand. Extreme preemies — born somewhere between 22 and 28 weeks — have a better chance of surviving now than they did 20 years ago, doctors report Tuesday in JAMA, the journal of the American Medical Association. But many of these babies still have severe health problems. Pediatrician Barbara Stoll and her colleagues at Emory University School of Medicine in Atlanta looked at medical records for nearly 35,000 extreme preemies born at academic hospitals across the country from 1993 to 2012. During that time, there has been a big increase in treatments used to help the fragile newborns. Those interventions have translated into a moderate improvement in survival rates, from 70 to 79 percent. 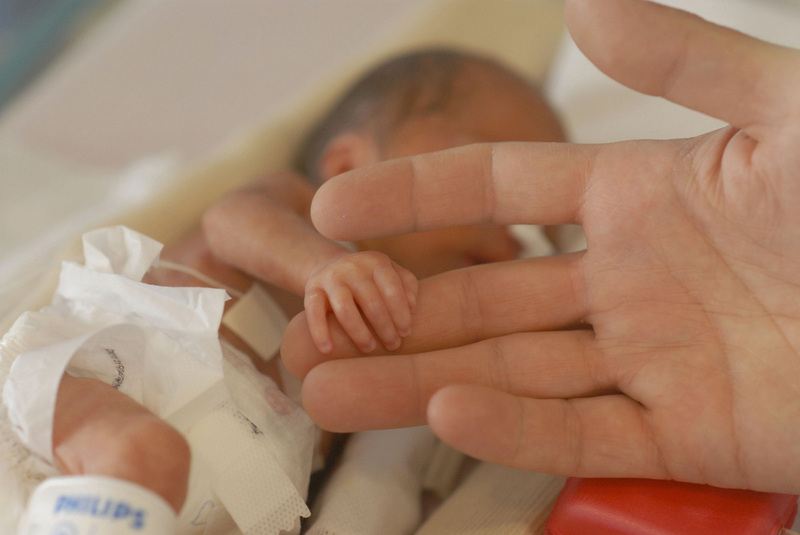 But for the youngest preemies — born before 25 weeks — outcomes still aren't good. Treatments haven't reduced their risk of severe problems, like brain hemorrhaging, blindness and chronic lung disease. About 90 percent of those babies who survive have significant health problems. That rate hasn't improved since 1993. "The changes in outcomes are much less than might be expected given the substantial changes in practice and raise the question whether many of these changes in practice have been effective," neonatologist Roger Soll of the University of Vermont College of Medicine writes in a commentary about the study. But Stoll at Emory University doesn't agree. "We hoped for small, steady improvements like this," she says. "We are cautiously optimistic that the data show progress is being made." And, Stoll says, there have been bigger improvements for the older babies in the study — those born at 28 weeks. Their chance of getting discharged from the hospital without any complications has risen from 43 to 59 percent. And fewer complications mean children are less likely to have developmental problems and disabilities later in life. These improvements are most likely to due to two major interventions: steroid treatment before birth to help preemies' lungs develop faster, and the willingness of doctors to perform cesareans to deliver extreme preemies. "But for the smallest preemies, born before 25 weeks, we still have a lot to do to make sure all the babies go home," she says — and grow up healthy.